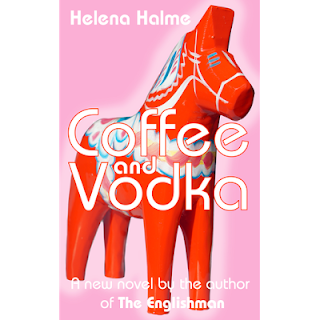 Helena Halme Author: Coffee and Vodka FREE Weekend Offer! Coffee and Vodka FREE Weekend Offer! I know it's crazy, but I am offering Coffee and Vodka free this weekend only! You can download a copy from Amazon today until midnight on 27 October 2013. ‘Coffee and Vodka is a rich story that stays with us….with moments of brilliance.’ - Dr Mimi Thebo, Bath Spa University. ‘The descriptions of the difficulties of childhood, sisterhood, relationships and parenthood transcend national borders.’ - Pauline Masurel, editor & writer. ‘Like the television series The Bridge, Coffee and Vodka opens our eyes to facets of a Scandinavian culture that most of us would lump together into one. I loved the way the narrative wove together the viewpoint of Eeva the child and her shock at arriving in a new country, with Eeva the sophisticated adult, returning for the first time to the country of her birth, and finding it both familiar and irretrievably strange.’ Catriona Troth, Triskele Books. ‘I loved reading this. After picking it up (or opening it on my Kindle I should say) it was hard to put it down; I even missed my stop on the bus to carry on reading.’ Gretel, Goodreads. Hurry, there's only three days to download your free copy of Coffee and Vodka!